Statistics I summary The following is a summary of all definitions as well as formulas and their explanations. Good luck with stats everyone! Summary Management Research Methods 2 (Pre-master programme) (Grade 8.5) This is a summary for the course Management Research Methods 2. This course is part of the pre-master programme Accountancy and Control at the University of Amsterdam. It is written in English. Summary MRM I - Management Research Methods 1 (grade 8.0) Summary of the lectures and sheets of Management Research Methods I (MRM 1). Includes graphics and examples. Especially applicable for the Pre-master Business Administration at the University of Amsterdam (UvA). Samenvatting algemene deel MTS3 UU (English) Summary of the general part of Methods Technology & Statistics 3 (MTS3). I completed this course with a 9.5 (9.5 for this exam, 10 for the SPSS test and a 9.1 for the course path specific part). Summary for Statistics for Premasters This is a complete summary for making the statistical exam that is given for the pre-master Communication and Information Sciences at Tilburg University. I have completed the course myself with a 9.5 out of 10! :-). This summary not only summarizes the lectures and practise units, but also provides the templates you need for the exam, including examples. It is a large file (59 pages), but because I have added links you can easily navigate through the file. I put a lot of effort in this summary, and hopefully I can make others happy with it now! Complete Summary of Fields\' Discovering Stats This is a complete and detailed summary of the mandatory chapters of Andy Fields\' Discovering Statistics book of the Comm. Science Pre-Master. Received a 7.3 for the course! Summary Field edition 5 An extensive summary from all the chapters that were mandatory to prepare for this course. Wsrt statistiek 1 This is the summary of Wsrt statistics from block 1. The theory is explained, but there is no manual from SPSS and R.
Samenvatting boek Kwantitatieve Onderzoeksmethodologie Dit is een samenvatting van de hoofdstukken van Field die nodig zijn voor het tentamen Kwantitatieve Onderzoeksmethodologie. Het bevat H 2, 6, 9, 11, 12, 13,14, 17, 18, 19. Dit vak wordt gegeven tijdens de premaster Business Administration of tijdens het tweede jaar van de studie. Soms wordt verwezen naar het boek voor de formules of de output van analyses, omdat dit niet duidelijk kon worden weergegeven in de samenvatting. Statistics 2 summary This are my notes from last year's statistics 2. Hope everything is in here. Statistics for Premasters - Summary (guide) of all SPSS tests (with examples and reporting styles) and explanations of literature Step-by-step guide (incl. examples of which steps to include in your analyses and how to report the outcomes of each test) for each SPSS test that must be known for the exam. Content: One-Sample t-test, Independent t-test, Paired t-test, One-Way ANOVA, Factorial ANOVA, Chi-Square, Correlation, Regression, explanation of some basic knowledge. 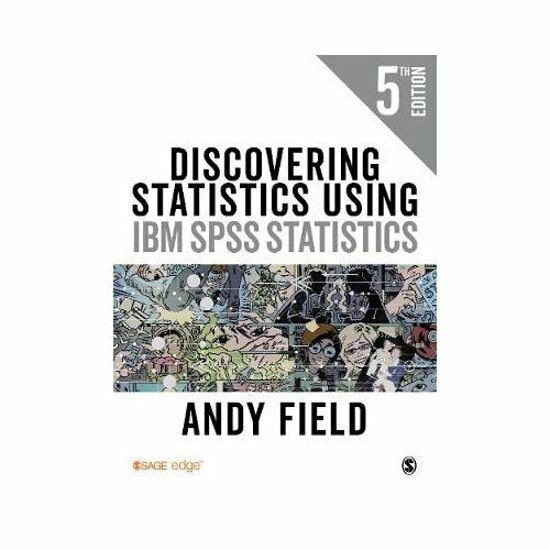 En esta página hay resúmenes, apuntes, guías de estudio y mucho más para el libro de texto Discovering Statistics Using IBM SPSS, escrito por Andy Field. Los resúmenes los han escrito los propios estudiantes, lo que te ayudará a hacerte una idea de lo que es importante estudiar en ese libro. Se tratarán temas como Statistics, Statistiek, SPSS, Summary, UvA, Radboud, Business Administration & MTS3.